Joint support is something that nobody thinks they’ll need until it is too late, one day you’ll be in the gym performing the same close grip bench press that you’ve been doing for the last 6 months and suddenly BANG your elbows or your shoulder is now on fire. GAT is one of our favorite ‘main stream’ supplement brands and as such they tend to have representation in a lot of our top 10 lists ( check out their contribution to our top 10 BCAAs list). 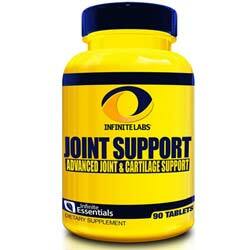 Joint Support is a solid product that goes for the simple approach (just like the simple name). Only five main ingredients in this formula, but they are all the ones you would like to see in a joint support formula. 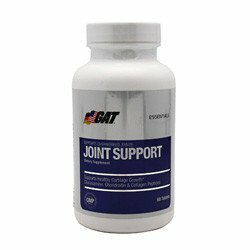 GAT went beyond the basics with the addition of collagen and Boswellia serrata to create an effective solution for an affordable price. If you thought that GAT had a small ingredients list, wait till you see the amount of ingredients in GenoFlex … Just 3 main ingredients and they are not your usual suspects: Cissus Quadrangularis (stem) extract, Passion Fruit (seed) extract, and Boswellia Serrata extract. Not your typical ingredients to see in a joint supplement, but all well proven ones. Researches on Cissus Quadrangularis and Passion Fruit seed extract show that both ingredients have abilities to relieve joint pain. Lastly, Boswellia Serrata extract has very good results on reducing symptoms of osteoarthritis. Flexatril is a really interesting looking supplement, it promises improved mobility, overall joint health support, and it claims to help keep your gym performance high. Unfortunately, it doesn’t give us any specifics on the ingredients – just a proprietary blend (so we have no idea of dosages). 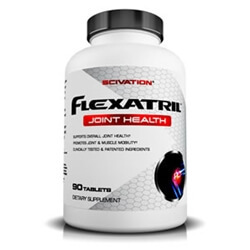 But Flexatril is consistently voted as one of the best joint supplements out there, so they must be doing something right. We’ve looked at Orange Triad before, in our top ten multivitamins for men 2017 article. It is a fantastic multivitamin, but it also offers a lot of joint support too. One of the complexes in it is called Joint Complex and it contains Glucosamine Sulfate and Chondroitin (sadly it’s another proprietary blend so we can’t assess the dosage). 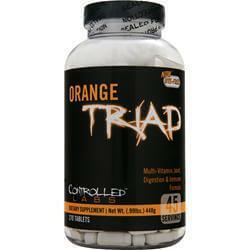 What’s good about Orange Triad though is that it functions as a really good multivitamin and a really good Joint Support Supplement. A great way to kill two birds with one stone. 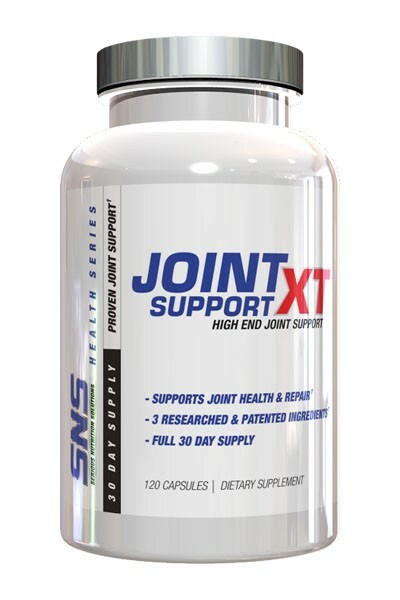 SNS’s Joint Support XT offers a well dosed joint supplement that also uses quality ingredients. The ingredient list is short and sweet too. 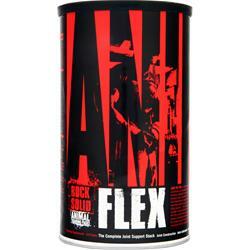 Glucosamine, Natural Eggshell Membrane, Andrographis Paniculata Extract and Boswellin Super Standardized Extract. You already know what Glucosamine is, so we’ll explain the rest. Eggshell in a joint supplement sounds quite crazy, but it actually has many benefits including reduced stiffness, pain and other joint issues. The Andrographis Paniculata Extract and Boswellin Super are both well-researched ingredients, both show to help with better joint flexibility, function and decreased stiffness. 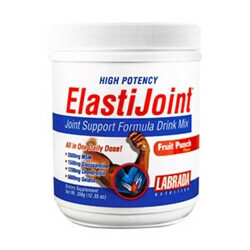 Our final joint support supplement is Elastijoint by Labrada, a formula drink (rather than pills) that promises to help protect and maintain joint health and suppleness. It is mainly designed as a recovery drink – something for you to take after your workout. The main ingredients are MSM, Glucosamine, and Chondroitin. These three ingredients are the most commonly used ones in joint protecting supplements. 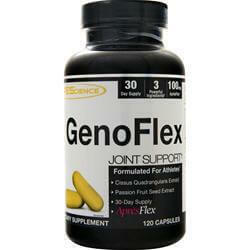 They each have been proven to help improve joint health and therefore have earned their place. Elastijoint may not contain many ingredients, but the ones that it does contain are powerful, effective, and scientifically backed.